Where can drivers in and around Mesa, AZ find new and used Volkswagen models, complete auto service, and financing in one place? Berge Volkswagen has drivers covered every step of the way, with new vehicle specials, used car discounts, an auto finance department, and an efficient auto service center. Whether you’re seeking a fuel-efficient Golf hatchback, a family-friendly Passat, or an adventure-ready Tiguan, Berge Volkswagen has an extensive lineup ready to take on the streets in and around Mesa, AZ. Set up a test drive to get behind the wheel of a Jetta, CC, Beetle, Touareg, or any other model from Volkswagen. Search our new vehicle inventory to find the latest Volkswagen models that will provide all the performance, technology, and safety features drivers need on Mesa, AZ area roads. Explore our CPO vehicle inventory to find a like-new vehicle without paying new vehicle prices. Our certified pre-owned Volkswagen vehicles undergo a meticulous 112-point inspection and part replacement for any part that does not meet factory standards, so drivers can rest assured their Volkswagen CPO vehicle will perform like new. Our pre-owned vehicle inventory offers a cost-effective option for Mesa, AZ area drivers to explore other models. With a selection of vehicles under $10,000, Berge Volkswagen has the car, truck, or SUV that you need at a price that works with your budget. Somewhere down the road, your Volkswagen will need routine maintenance or a repair. Our auto service center offers an experienced team of technicians ready to make sure that your VW operates in tip-top shape. We provide a full-service menu for Mesa, AZ area drivers with an emphasis on excellent customer service and getting you back on the road as efficiently as possible. Schedule a service appointment online to arrange the auto service your car or SUV needs today. One of the reasons our auto service center is the best option for your Volkswagen is our commitment to using only genuine OEM parts. 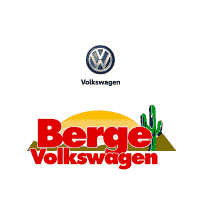 Order parts online through Berge Volkswagen that were specifically designed to seamlessly fit your vehicle. Our finance team will help Mesa, AZ area drivers find a lease or finance plan that fits their budget. Visit our online finance center to find a host of tools meant to make financing your next Volkswagen as stress-free as possible. Be sure to keep an eye on our incentives that make getting the keys to a new Volkswagen easier than ever, as well as our coupons for saving on service fees. Do you still have questions about our Mesa, AZ area Volkswagen dealership? Our Berge Volkswagen product specialists can answer them. Simply give us a call at (480) 646-4858 or fill out our online contact form to learn more about our VW dealership.